While I was walking back to work from an appointment, I stumbled across a fancy pasta shop - The Local Epicurean. Admittedly, I don't walk up and down Division often, they may have been there for awhile, but given that the chocolate bar is in the process of being set up, I'm inclined to think they're new to this spot. 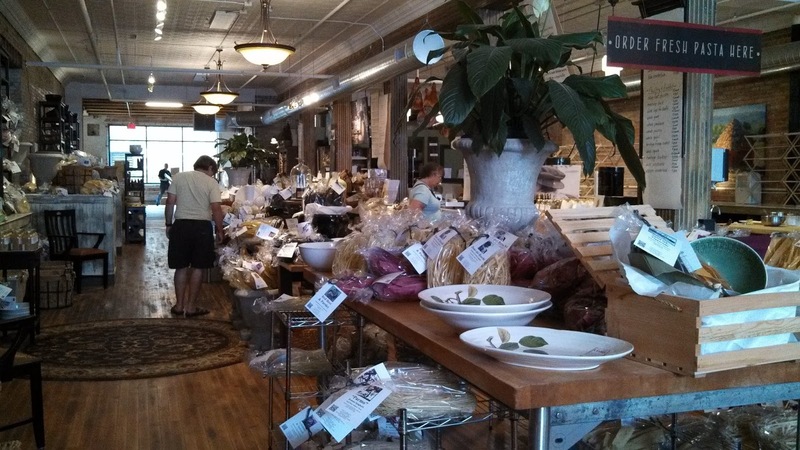 Regardless, the whole shop had a ton of fancy flavored pasta, cheeses, oils, and sauces. You can even custom order fresh pasta. That's something I'd love to do sometime. I picked up a few bags of pasta to make dinner tonight and it was delicious!